We use our furniture every day, and they are not exempt from getting dirty. When this happens a professional care is needed to maintain the quality of the fabric. 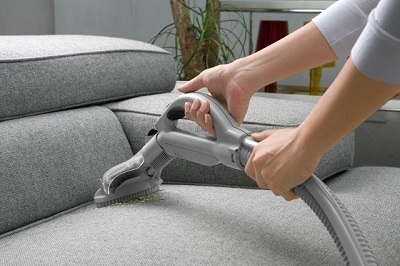 Upholstery is made of different fibres, and the cleaning products used are not the same as your carpet solutions. We will inspect each fabric and utilise the best available solution to clean it. Book your upholstery cleaning online or by calling us at 01747 612288. Our trained cleaners will come to your Bournemouth / Dorset home with all the necessary equipment and professional detergents. 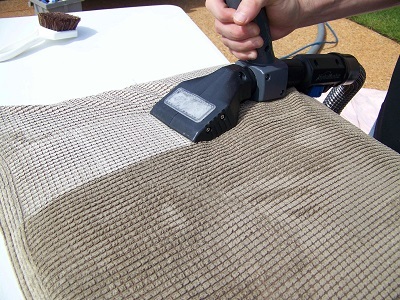 They will inspect the fabric of your furniture and use the most suitable upholstery cleaning methods. You will enjoy a healthier and cleaner home. You may combine you upholstery cleaning with our specialized carpet cleaning services or as an addition to your one-off (spring) cleaning. You have no idea how many stains my 3-seated sofa had after the Christmas holidays. Thank you Domco for cleaning those for me. Wow, I saw the real colour of my couch. I never thought it can smell and look so good again. It is like new! Your upholstery cleaning in Bournemouth is highly recommended!